Trade shows can be a great environment for you to meet face-to-face with your customers or clients, spread the word about your business to those who might be unfamiliar with you, and learn more about your own industry. But because these events can be expensive to participate in, it’s important that you know whether or not you’ll have a positive return on your investment when you go to a trade show. Because part of this success depends on how each individual trade show plays out, it’s a good idea to do everything in your power to ensure that you do your best. To help you with this, here are three tips for improving your success at trade shows. The work you do for the trade show shouldn’t only take place on the day of the event. To truly make the most of your time there, you have to put in a little time beforehand as well, especially on social media. Post on your channels in the days leading up to the event about where you’ll be and what you’ll be doing. Encourage your followers to stop by and see you if they can. Additionally, Morgan Kelleher, a contributor to Forbes.com, recommends that you post throughout the day on the day of the trade show, using the hashtags for the event and your booth number so attendees can easily find you. 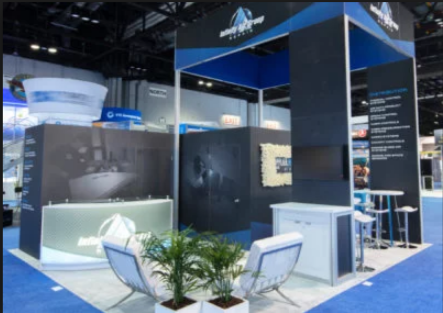 Since you’ll be sharing the event space with tons of other businesses, it’s crucial that you do whatever you can to set your booth apart from the crowd and make your space enticing to those walking by. To help with this, Janice Byer, a contributor to The Balance Small Business, suggests doing things like using a presentation board or big image to draw people to your booth, make your company name very visible, display your products or materials as they’re easy to see and grab, and use video or other media to attract eyes. The more people you’re able to get stopping at your booth, the better your chances are of getting more people interested in what you have to offer. While you might be feeling some pressure to make sales or do a certain number of demonstrations, what will be truly most beneficial to your business, according to Bennett Conlin, a contributor to Business News Daily, is if you’re able to build real connections with the people you meet there. Even if they don’t buy something from you immediately at the show, if you create a good, lasting impression, that positive interaction could prove to be very fruitful for you in the future. If you’re planning to go to a trade show, consider using the tips mentioned above to help you find more success at these types of events.